What are Sanders & Polishers? 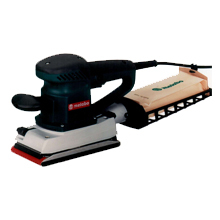 Sanders are a type of power tools that is used for smoothening surfaces by abrasion with the help of sandpaper. Sanders are used for attaching the sandpaper as well as a mechanism to move it quickly which is contained within a housing. It can either be hand held or fixed using a workbench. Sanders are of different types and are widely used in a wide range of purposes. a on the other hand are widely used in hiding or removing paint defects on the sub surface and enhance the surface gloss to make it ready for wax protection. The new models that come with ergonomic design and therefore can be utilised over a long span of time. Presence of special gear for high spindle torque and variable speed selection offers users with the perfect speed they require for polishing metals. At Moglix, we deal in sanders from leading brands like Black & Decker, Bosch, Cheston, KPT, Makita, Metabo, Skil, Milawaukee and Trumax. What Are The Different Types Of Sanders and Polishers? Belt sanders can be either stationary or hand held. This type of sanders are equipped with a pulley driven loop of sanding material which can sand wood within a short span of time. The motor of this type of sanders is either mounted perpendicularly to or in the middle of the sander. The sanding belts are equipped with different grit levels and therefore have an impact on the amount of wood which gets removed as the sander works. These belt sander machines have bags that are attached for collecting the dust which is produced. Belt sanders come with the feature of variable speed control. The new models of belt sanders available in India are highly versatile. They are highly suitable for sanding & levelling surfaces that are very rough & for shaping and rounding. These machines have a substantial amount of power and help users to handle uneven grits. They also help in quick removal of wood. Drywall sanders are widely used in engineering applications, automobiles, construction etc. They are highly useful in sanding operations that are performed on dry-wall construction. Drywall sanders are widely used in wood & metal surfaces and are highly effective in small rooms and tight places. They are also used for sanding plasters, paints & fillers. 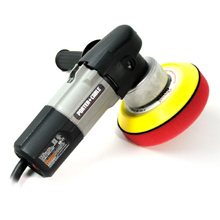 The new range of drywall sanders are equipped with a large sanding disc and have a high speed. They are equipped with an electronic switch which ensures stepless speed control. 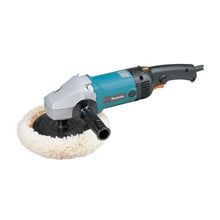 The sanders are equipped with a large sanding disc & have a high speed which ensures high removal efficiency. The sanders have a special dust hood with a detachable segment which helps in sanding the edge of the surface. They come with a dust extraction with brush rim and punched sanding. At Moglix, we are offering lightweight drywall sanders which are easy to handle. They are equipped with hook and loop straps for handling and easy mounting. The drywell sanders that we are offering as a part of our collection come with a instruction manual which make them suitable for usage by people who haven’t used drywall sanders before. Therefore, these sanding machines are highly valued by people who intend to have renovation work done at home. Wood sanders which are available in the market normally have benchtop & handheld styles. The wood sanders that we have as a part of our collection are suitable for levelling worn out areas of floors. To give wooden floors a fresh, new look it is essential to have it sanded & prepared in the beginning. The wood sanders that we have on offer have been sourced from brands like Hitachi, Cumi, Black & Decker, Ralli Wolf, Metabo, Milwaukee, etc. One rule of thumb which you should follow is to start from the middle of the room and work on the edges. The sanding machine should be handled with care while working in the area around the floor at middle-range speed. Make sure that the sander’s speed is constant and don’t leave the machine on towards one part of the floor for a long span of time, they can create difficult to resolve gouges. Floor sanders are used for removal of top surfaces of wooden floors. The floor sanders that we have as a part of our collection are ideal for usage in floor restoration projects. One special feature of our floor sanders is that they are virtually dust free and do not leave behind judder marks which is a common problem with drum sanders. The floor sanders that are available at Moglix have a high level of efficiency. They can extract dust with a high level of force and are equipped with an integrated clutch and adjustable drum pressure which ensures smooth, flawless sanding without any sort of damage to the floor. Car polishing machines usually operate using electricity and are made from high quality aluminium. These machines are highly useful in removing varnish coatings and old paints. Also, called buffing machines they are used for polishing soft metals like brass, copper and plastics. So, they can be used by polishing vehicles for maintaining their shine. They grind through surface layers in order to acquire smoothness. 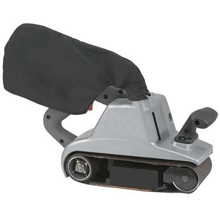 The car polishing machines we offer online, come in a box which includes a Velcro supporting disc, polishing pad, wood polishing pad and polisher. The car polishers which we offer help in retaining the shine of vehicles, hardwood chests and plywood desks making them look anew. They have an ergonomic design and come with a durable metal gear housing which offers users with easy access. They come with straight and D-shaped handles and therefore can be controlled with perfection while being used. A high level of user safety is ensured by the spindle lock feature. The soft grip on the polisher’s handles and speed adjustability feature at six different levels makes the car polisher a user-friendly tool. It can be used for applying or removing wax coatings. We also sell car polish kits online. Car wax machines are highly useful in keeping a car look new and shining over a long span of time. Therefore, it is highly valued by users for polishing and maintaining their cars. For waxing, you will need to utilise a dry clean cloth for dry the car perfectly after washing. Then press sponge base within the unit till it gets lock within the place. Apply a thin layer of wax on the sponge before switching off the power and plug into the cigarette lighter. Then, turn on the power and rub it with the vehicle surface gently. To avail the best results, avoid using excessive wax. Let the wax dry out and tur white. Then remove the sponge and replace it using a buffing pad. Apply light pressure ad slowly push buffer in any direction. However, avoid applying too much pressure because the motor will slow down when pressed too hard. Its efficiency will get affected. Keep it dry and avoid applying force for stopping it. Then clean the sponge pad using a mild detergent. It needs to be dried completely for next use. Hand buffing machines are dependent on time, wax and elbow grease for functioning. To make best use of these devices, it is essential to wash the vehicle perfectly and ensure that is completely dry before you apply the wax. In case any residue of water droplets stays on the paint, the wax will run get harder to buff. While applying the wax on your vehicle, make it a point to apply a thin coat to ensure that the wax can buff out smoothly. Then apply the wax on small holes of the paint surface and let the area dry up. It would be wise on your part to apply wax using your hands with the help of a foam wax applicator which is soft, sponge type item used for hand buffing. Once the wax dries, buff the wax in circles utilising a microfiber cloth. Keep buffing the vehicle the car till it shines thoroughly with the help of a buffing pad. Though the wax won’t last permanently, it is essential to replicate the process so as to retain the shine. Wood planer machines are widely used for woodworking purpose. They come with a large depth of cut control knob that offers simple adjustment and acts as a second handle offering a higher level of control. The wood planers that we offer as a part of our collection can be used with one or both hands. The dust extraction feature of these devices ensures a healthier and cleaner work environment. Keeping the budget factor in mind, we have maintained a wide price range for wood planer machines. The hand planers available at Moglix are highly efficient in offering a smooth, even finish on the hardest woods. The products which we offer as a part of this subcategory are equipped with resharpenable high speed steel blades. Therefore, they are highly suitable for use in framing or straight edging applications. These planers also accept reversible carbide blades which offer a longer durability of the blade and material finish. A high level of user comfort is ensured by the ergonomically designed handle which ensures minimal fatigue. Orbital sanders are highly valued by users since they are inexpensive. They are normally lightweight and easily fit into the user’s palms. 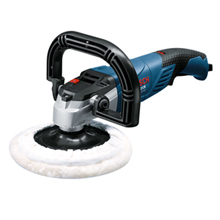 The orbital sanders that we have on offer are the best option for sanding in between coats. The major plus point of orbital sanders is their square shape, which enables them into corners and over the edges. In contrast to belt sanders, they leave less visible cross-grain marks behind. We also offer random orbital sanders as a part of our collection. One of the most widely used types of power sanders; they are mostly used in wood working these days. Random orbital sanders are highly effective in making cross-grain scratches that are not easily visible to the naked eye. Though not as sturdy as a belt sander, it can help you remove a far greater amount of material in comparison to orbital sanders. The random orbital sander models available as a part of our collection are equipped with variable speed switches which helps in performing less aggressive sanding. We are offering orbital sanders from leading brands like Dynabrade, Unoair, Xtra Power etc. How to Select Sanders, Polishers, Planers & Orbital Sanders? Selecting the correct sandpaper is essential as opting for the wrong type of sandpaper can ruin your project. They are normally available as sanding discs or in sheets. Check the grit i.e. the number of abrasive particles present per square inch of paper. It is normally in the range of 40-600. The lower the grit, the rougher will be the sandpaper. Sandpapers which are very coarse are ideal for stripping paint or varnish. Opting for a medium grit between 80-120 will help you create a smooth surface and remove the imperfections. You can also consider opting for very fine-grit sandpaper for removing scratches and make the wood ready for staining. The sandpaper will then be held on the sander with the help of clamps. A few of them are operated using a spring-loaded action while others are handled using screwdrivers and levers. This is a suitable feature which reduces the depth of sanding. Sanders create a huge amount of dust and therefore it is essential to find a suitable way to get rid of it. Dust-collection systems usually comprise dust bags, hoses that are attached to a vacuum and filter canisters or hoses. Continued and extreme vibration can be tiring and cause injury. Therefore, it’s important for you to opt for a sander which offers a good grip. A soft grip minimises vibration. In case it is possible, try to turn on hand-held sanders before you buy to find out how convenient you feel using them. Pad brakes protect the surface from getting gouged on removal of the sander. It helps in locking the sander in the ‘on’ position. Therefore, you won’t have to keep pressing on the on button. 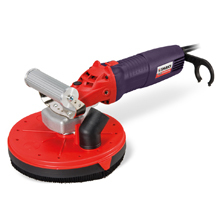 While selecting a polisher, the major aspects that you will need to focus upon when selecting a polisher is the brush head size, brush speed(rpm) and machine weight apart from accessories. It is ideal for usage in the cleaning tasks where they are intended to be used. 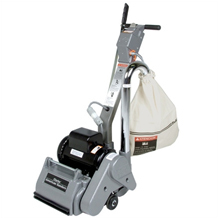 Slower speed rotary buffers are best suited for usage in wet scrubbing, carpet shampooing and for stripping floors. The ideal suggestion is that dirtier your floor, the greater will be the need for deep cleaning with the help of a slow speed machine. Sticking to a speed of around 300 rpm should be utilised for stripping floor polish & sanding wooden floors utilising a mesh screen for heavy duty floor scrubbing. Higher speed machines are ideal for buffing, polishing & spray cleaning. Around 300 rpm there is transition between floor scrubbing and floor polishing. Therefore, a machine between 300-450 rpm is best suited for spray cleaning where you want a cleaning action to be done on the floor but need a polished appearance once it’s doe. So, it would be wise on your part to use a neutral cleaner when spray cleaning on a polished floor to ensure that you don’t need to remove floor polish. Polishers of a smaller sized are ideal for usage in restricted areas like toilets, trial rooms etc. On the other hand, larger machines have a high level of productivity in more open areas like large rooms, halls & corridors. The brush head size tends to vary between 10’’ (28 cm) to 20’’ (50 cm) on the basis of the manufacturer and model type. A machine with heavy weight which operates at slow speed will ensure a satisfactory level of cleaning over a limited area. Therefore, slow speed sanders and aggressive pads of darker shades are ideal for removing oil polish and high level of scrubbing. Wax is a major item which is used in the car waxing process. They are primarily of two types-natural and synthetic waxes. Natural waxes are normally made from carnauba. This type of wax usually lasts for a few months but it helps in improving a car’s shine to a great extent. These waxes do not create a high level of shine like carnauba. But they last for a longer time period. Synthetic waxes are created either from polymer or acrylic waxes. They have considerable strength for protecting a vehicle’s paint. Though they lack shine, they don’t leave behind paint streaks. Why Buy Sanders Ad Polishers From Moglix? At Moglix, we are well aware of the important role played by sanders & polishers in the day to day lives of our customers. Therefore, we have sourced sanders & polishers from leading brands such as Makita, Dewalt, Bosch, Hitachi etc. We provide visitors with adequate details related to the different models to help them acquire a good idea about the product they are buying. The most effective way to look for a sander or polisher is to put keywords on Moglix’s search option. Mentioning the type of sander or polisher you are looking for will ensure more appropriate results. The price of sanders ad polishers has been kept within a wide range to suit the needs of buyers. To acquire the best deals on sanders & polishers, select from our assorted range.